At first sight, violin seems to be a rare instrument for jazz since its beginning, however contrary to mainstream thoughts there were legendary violin players in early times of jazz such as Eddie South, Stuff Smith, Claude Williams, Joe Venuti, Georgie Stoll and Stephane Grapelli. As an important name between the predecessors and the moderns we can give Jean Luc Ponty as the most important name. In contemporary or today's mainstream jazz scene we still rarely see violinists who are generally originated from classical music and producing works in both genre. Generally speaking we can give Nigel Kennedy, Mark Feldman and Scott Tixier as examples. The reason why I am writing this review is that I am recently affected by possibly youngest of them. 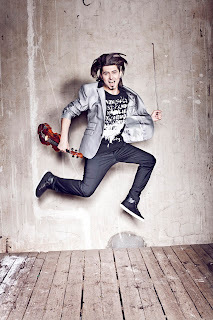 It was on April 2012 while I was looking for the new albums released in ACT Label when I met the new young talent of jazz violin, Adam Bałdych via his debut in ACT, The Imaginary Room. I have been there with a previous motivation of learning that he was one of the most important violin players in jazz scene lately from some critics and seeing his photos with Siggi Loch, the founder of ACT Label. After seeing the line up in the album and listening to it at home I have decided that I faced an extraordinary style not only for jazz but also for violin. 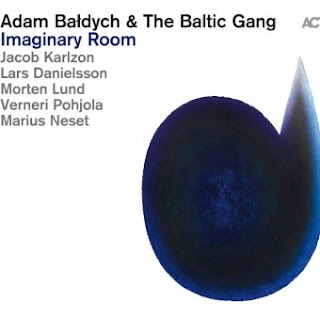 Adam Bałdych has played with many important Nordic musicians in this album who gathered in the name of Baltic Gang: lyrical bassist Lars Danielsson who is well known among European listeners from lots of works from ACT as well as many other Scandinavian contemporary albums, Jacob Karlzon who can be remembered from Viktoria Tolstoy’s albums as one of most important jazz pianists of Sweden previously and nowadays from latest album More that he recorded with his trio JK3, Verneri Pohjola, the young talented trumpeter from Finland (son of Pekka Pohjola), owner of two albums from ACT, the Danish drummer Morten Lund and Marius Neset, another talent on saxophone (from Edition Records label). Behind that album we see two most important names of ACT, Siggi Loch and Nils Landgren as the producers again. Let me give some biographical information about Adam Bałdych before analysing the album Imaginary Room in detail. Bałdych was born in Gorzów Wlkp in Poland in 1986. 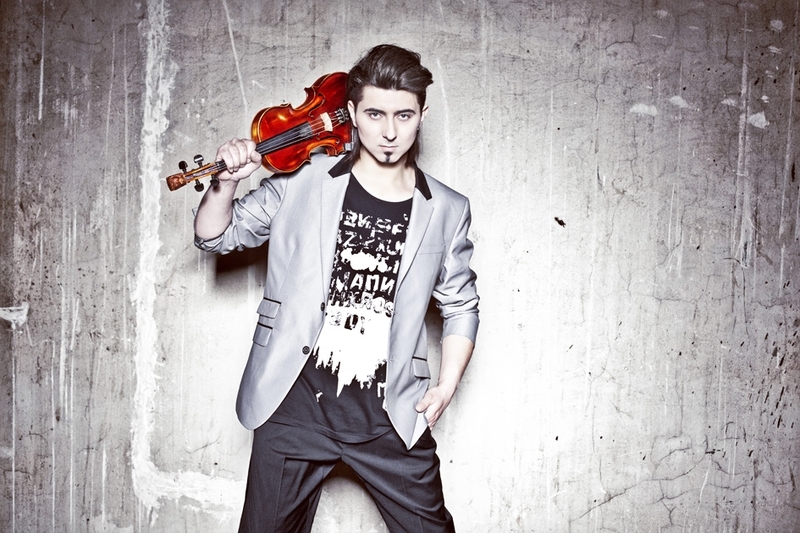 Accepted as a genius in his country, Poland, since his childhood, Adam became third in Polish national violinist competition in Poznan at the age of 13. The same year he was awarded the first price at regional violinist competition in Szczecin and at Baroque music competition in Gorzow. “Jazz offered me the musical freedom, I was searching for.” is what he said for his meeting with Jazz at the age of 13. In 2002 he was awarded by "Jazz Celebration“ competition in Gorzów. He is annually awarded the "Key for Career Award“ by Polish magazine “Jazz Forum”. Adam started to be seen in international jazz scene when he was 16 by a tour through Europe and Asia. He has graduated from Kattowitz conservatory with merit after when he got a scholarship from Berklee College of Music in Boston. Started with education in US, Adam Bałdych has partially lived in US and worked together with famous musicians such as Jim Beard, Didier Lockwood, Pierre Blanchard, Jerry Goodman, Krzesimir Debski, Christian Howes and Mika Urbaniak. He first gained international attention with his album Damage Control (2009) that he has recorded with his band Damage Control. He released another album in 2009 called Storyboard. Inspired by famous novel Der Steppenwolf, he produced Magical Theatre in 2011. The famous piano player of ACT, Leszek Możdżer (which can be remembered from Pasodoble with Lars Danielsson) met Adam Bałdych in 2008 to write the soundtrack to the movie Sir Arnes Schatz by Swedish director Mauritz Stiller. Leszek Możdżer introduced Adam Bałdych to Siggi Loch. Loch immediately asked Bałdych to join the ACT family. Adam Bałdych deserves the nickname Evil since he has certainly a very characteristic style for violin that can only be sourced from a pure talent. He really sounds like a woodwind in the album Imaginary Room, in my opinion. You can also smell some blues from his violin which is already affected by rock. You can understand the reason behind this when you listen to the previous albums which is full of electric violin. Besides Imaginary Room you should also have a look at fantastic album My History of Jazz of Iiro Rantala in which Adam Bałdych also took part. Village Underground: An energetic entrance to the album... The rhythm section consists of cold piano, wide performed/recorded drums and double bass playing mostly from lower octaves. The piano and bass simply follows a basic line while drums are deciding on the tension moving between two channels successfully. The woodwinds and violin is played in harmony. The main theme remembered me some opera-kind compositions. Mirrors: A melancholic piece in which you can find many long classical violin performances from Adam Bałdych over every other instruments that are trying to create a tensional environment for him. We have little hopeful areas in the piece which have perfect links between the body. The Room of Imagination: Coming from previous album and seems like to have inspired Adam to name the album, the piece is a fantastic composition from Adam Bałdych. This is the real success of the album. Especially Marius Neset shows us his power with his saxophone in very well written partitions. We also listen to great solo performances from Adam which sometimes accompanied by trumpet as well as the saxophone which are following the main theme. After the first half, the tension is increased with higher octaves’ trumpet which is cut sometimes by soft and melancholic violin accompanied by piano and minimal percussion. K8: This piece should be carefully listened for the brass parts that feels like to be played by a big band by means of continuous and controlled sound of violin and contribution of Nils Landgren on trombone, solo saxophone part to see Marius Neset’s performance and solo violin part for Adam’s of course. This is certainly a part of the general feeling in the album lowering the tension a bit compared to the Cubism. You can easily be linked from that piece to others. Time Traveller: The virtuosic (blues like at the same time) violin entrance is responded by firstly dark then warm piano of Jacob Karlzon. They are talking together instead of listening to each other. The composition belongs to Jacob Karlzon and Adam Bałdych . Rama hai: The drummer Morten Lund preferred brushes in this deep bass supported melancholic piece. The album’s heart beats are at lower paces now. Adam is playing like going on where he left the previous piece. The naive feelings are supported by narrow trumpet from Verneri. For Zbiggy: This is a tribute from Adam Bałdych to Zbigniew Seifert, a good Polish violin player died in 1979. The tension is increased again. Adam Bałdych again shows us what a great musician he is. Look at his great harmony with the rest of the band. He sounds as if the violin is a standart instrument for such pieces. I loved that tone very much. Give attention also to good performance of Morten Lund who never gives up filling the background. 11.16: A long introduction of Adam Bałdych carries us to an again well written brass partitions that is very well performed and sometimes supported sometimes dominated by a great violin. The drums are organically fed into the sound and the control of the drummer is fantastic. Zarathustra: This feels like a basic melancholic soundtrack first. By introduction of cello from Lars Danielsson and Jacob’s piano we faced with a classical piece more than a jazz one. Inspiration: I like the name as I like the entrance, violin on top of drum&bass and piano. It is minimal and soft. The articulation is satisfied by trumpet and saxophone distributed in two channels and introduced in second half. 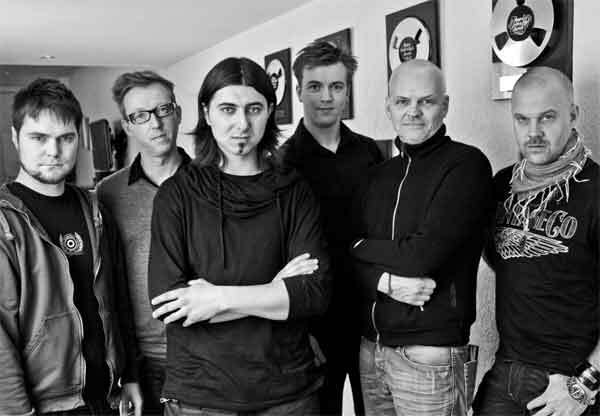 Million Miles Away: Lars Danielsson and Adam Bałdych composed the piece together. I really felt like in a Lars’ composition from Pasodoble or Liberetto. A duo performance of a mystic violin and a lyrical double bass... A new talent on violin from middle Europe, an experienced troubadour on double bass from northern Europe. The result is a short but a great performance.